Double beans are very commonly used in gujarati cuisine, as the sole star of a recipe or to support other vegetables. However, there is a twist in this version of double beans curry as i have enriched it with a spicy punjabi style masala instead of the down-to-earth spices used by gujaratis. With a simple tomato base and common spices, the focus is definitely on the potatoes! 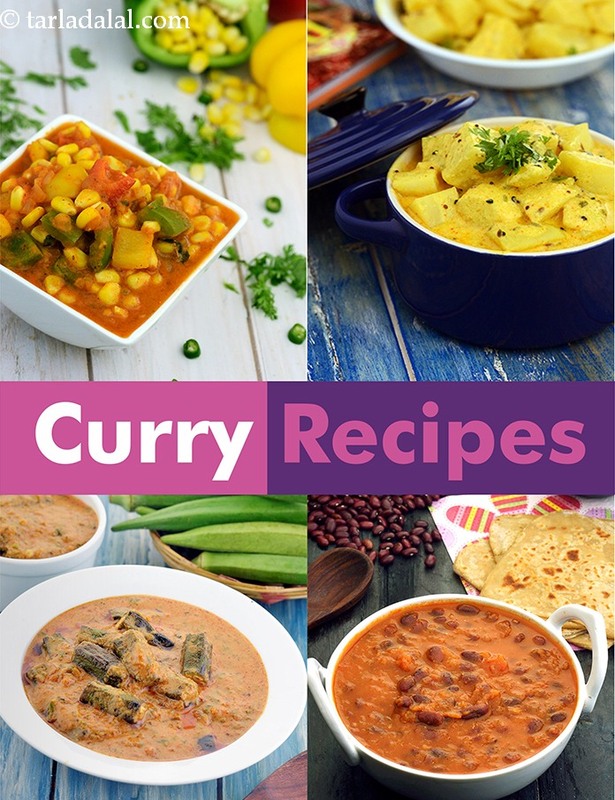 although very easy to make, this quick potato curry is an ever-popular dish that is frequently made in most households, especially if there are children around. A traditional, fiery-red thai curry simmered with assorted vegetables, this goes well with steamed rice. The basil leaves lend their characteristic aroma to this dish, while coconut milk balances the spices. A tantalizing dish to rustle up when you are in a hurry. Replace the paneer with mixed boiled vegetables to make subzi kadai. A hot bowlful of this subzi can perfectly match any Rotis of your choice.